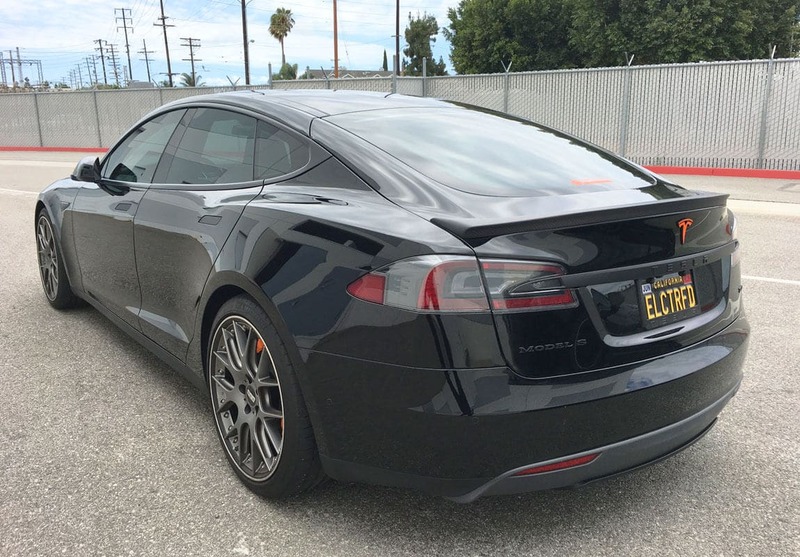 Without a doubt a trunk spoiler gives an added element of sportiness to any car. 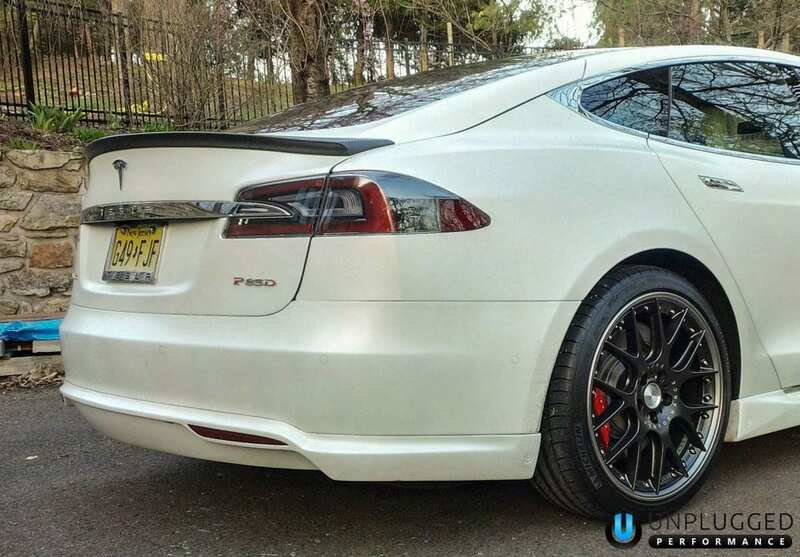 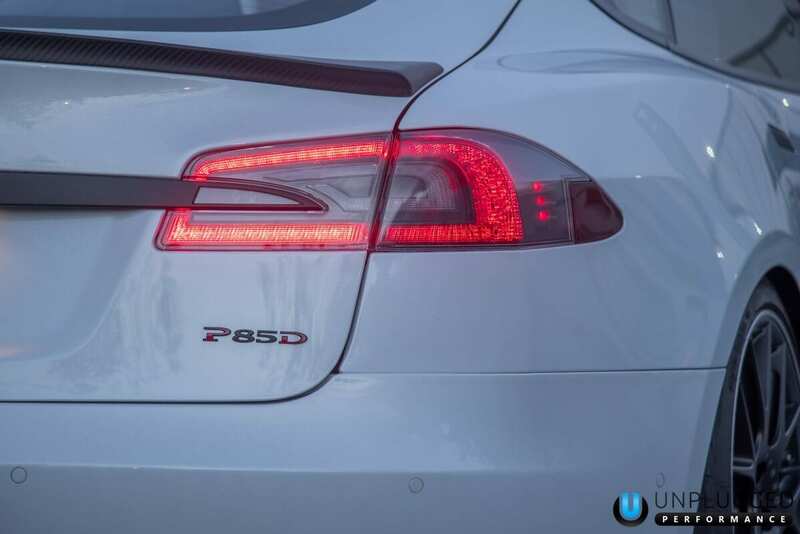 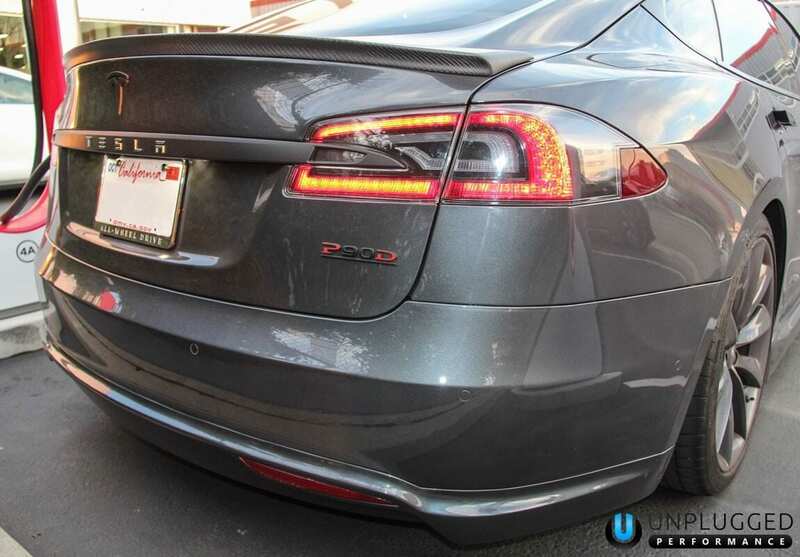 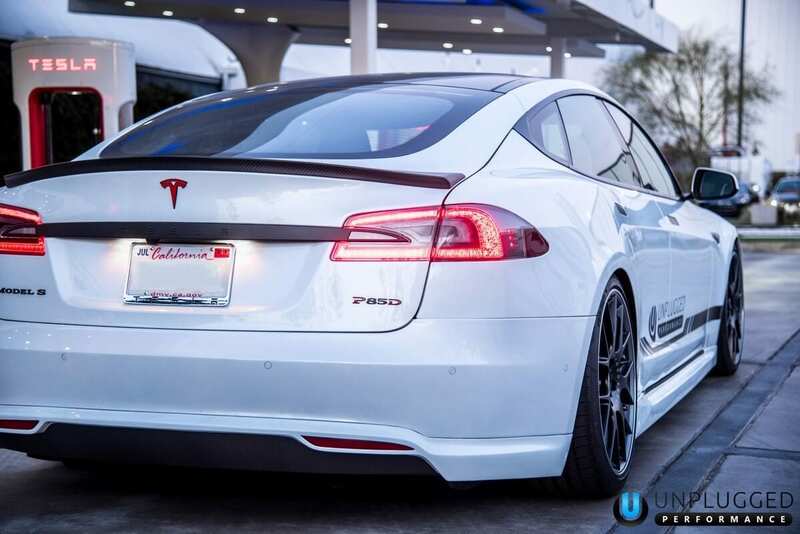 Tesla designed a classy factory trunk spoiler and the Unplugged Performance Trunk Spoiler picks up where Tesla left off and adds tasteful additional touches to the design. 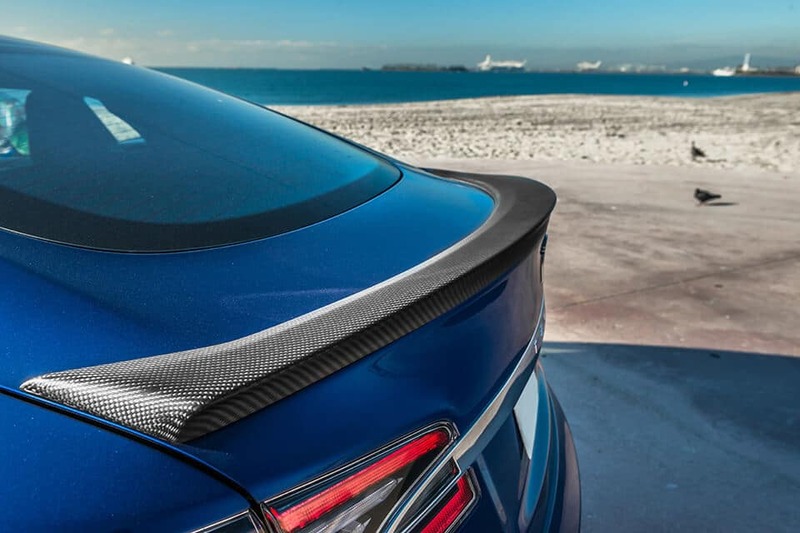 The Unplugged trunk spoiler extends end to end over the trunk and has professionally designed details that subtly add light catching elements and details that draw you in. 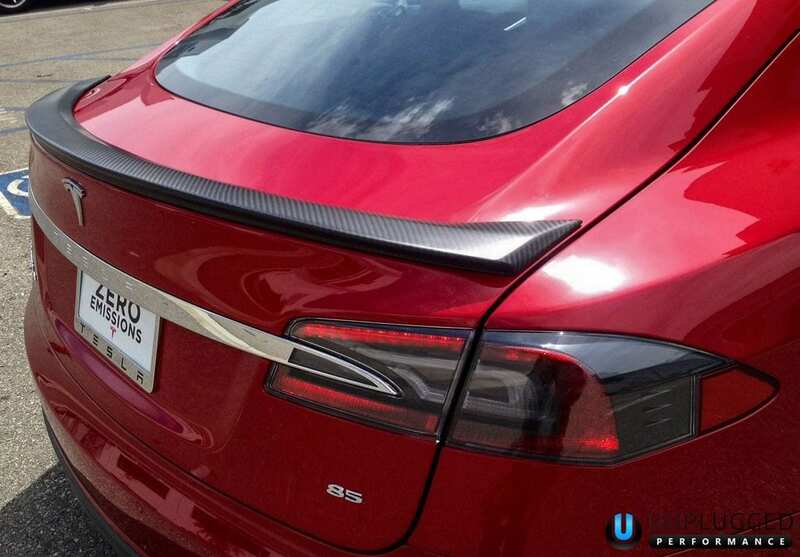 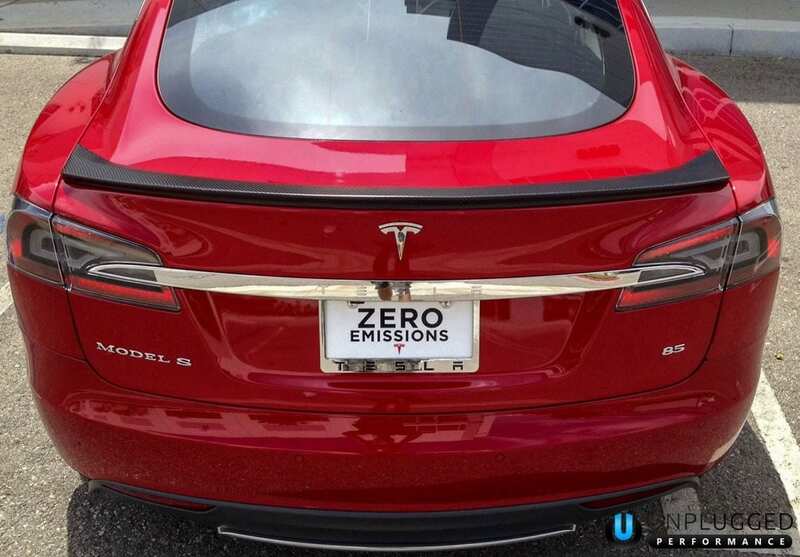 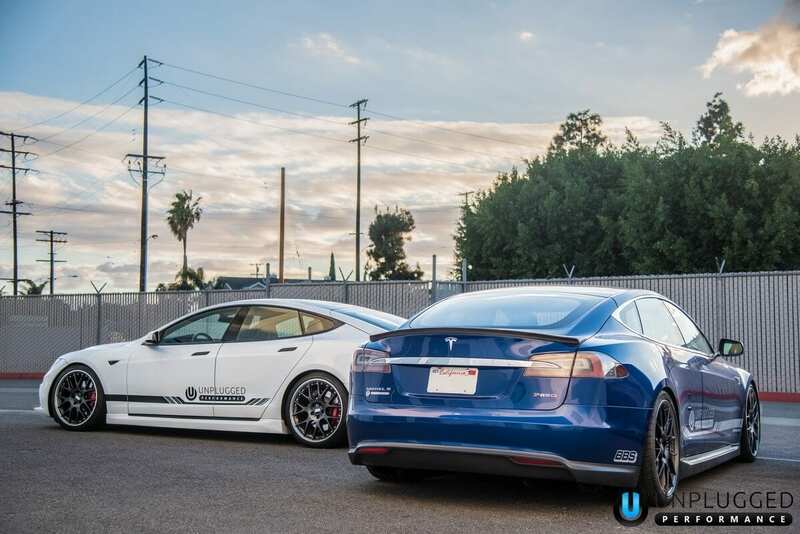 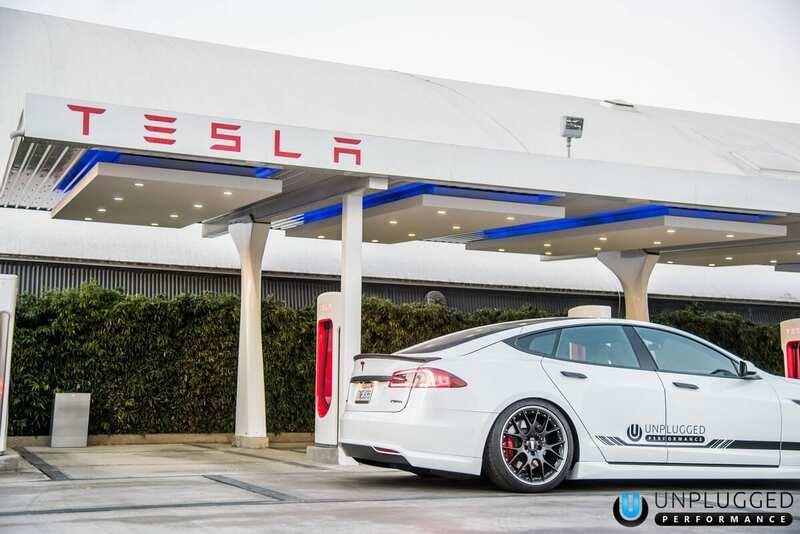 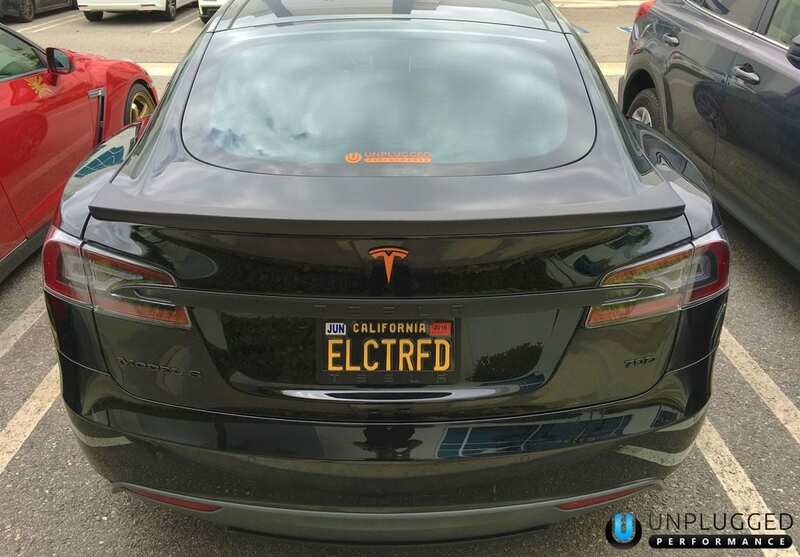 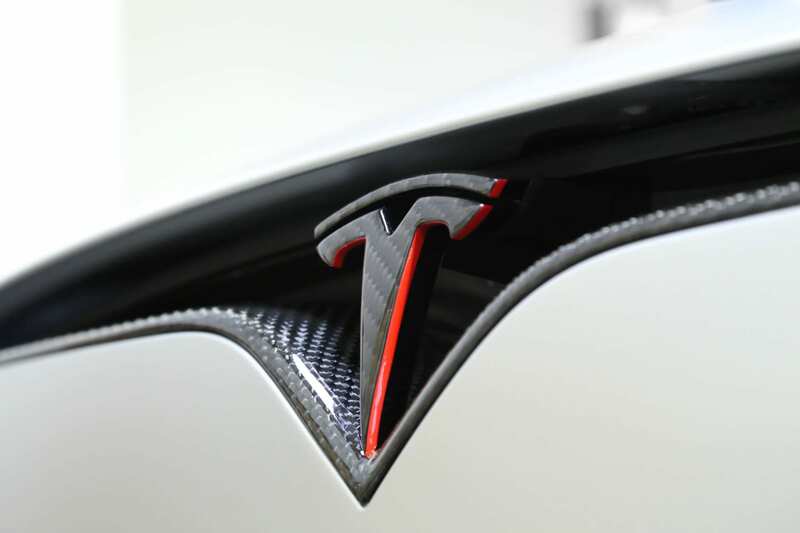 Installation is achieved simply with double sided tape, exactly the same as the Tesla factory optional spoiler installs. 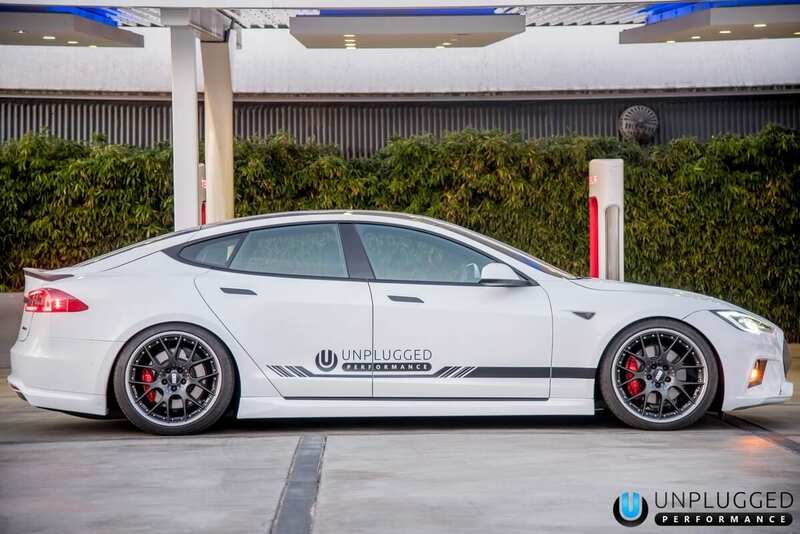 Unplugged Performance trunk spoilers are offered in the following variations: unpainted, premium factory color paint, or in beautiful carbon fiber. 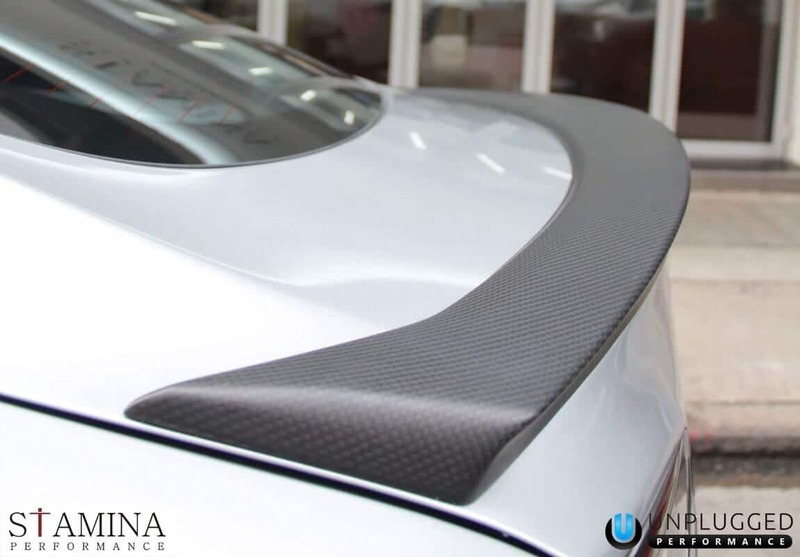 The Unplugged Performance Trunk Spoiler is designed and produced to the highest quality levels in Hawthorne, California.